Beautiful single-family, 2-story home in the Grandview subdivision in Erie. Your future home is perfect for large families, & offers 6 Bedrooms & 4 Bathrooms. Main level has formal Living Room, Dining Room w/ gas fireplace, & inviting Kitchen. 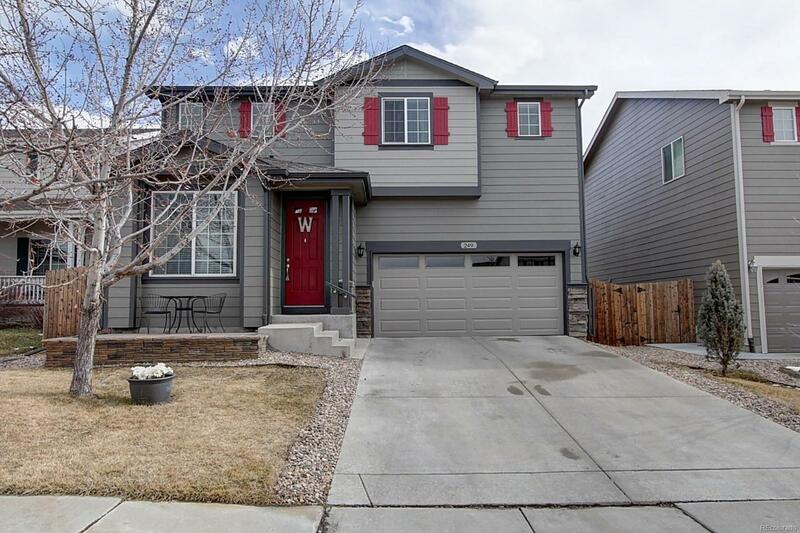 Kitchen features granite-slab countertops, decorative tile backsplash, stainless-steel appliances, & huge center island w/ additional seating x6. Upper level has an incredible Loft, w/ mountain views--perfect for kids' playroom, media room, or a causal office. Laundry Room is conveniently located on the 2nd floor near the bedrooms! Gorgeous Master Suite features private bathroom w/ dual sinks, & big walk-in closet. Finished basement Family Room perfect for movie night!, Rec Room (perfect for games), guest Bedroom & Bathroom. Great back yard w/ deck is perfect for entertaining friends & family, while kids & pets run & play! Great play park right across the street! Much furniture is negotiable! Property taxes are lowest in Erie!